I had done a few clean installs on my main rig but was waiting for TH2 for my “final”. This PC had previously been a dual-boot Windows 8.1 / Window 7 PC. I had upgraded 8.1 to Win 10. 1 – I made sure I had my drivers and the latest versions of all my programs. 2 – Made a bootable Win10 flash drive. See here for how, and here to find TH2 ISOs. 3 – Next I backed up the entire OS drive using Acronis True Image. 4 – Unpluigged all drives except my OS drive. 5 – Booted from flash drive and used Repair/Troubleshoot/Command Prompt/Diskpart to wipe disk. 6 – Rebooted and installed Win10. DO NOT ENTER KEY, Local account, customized settings all options off. 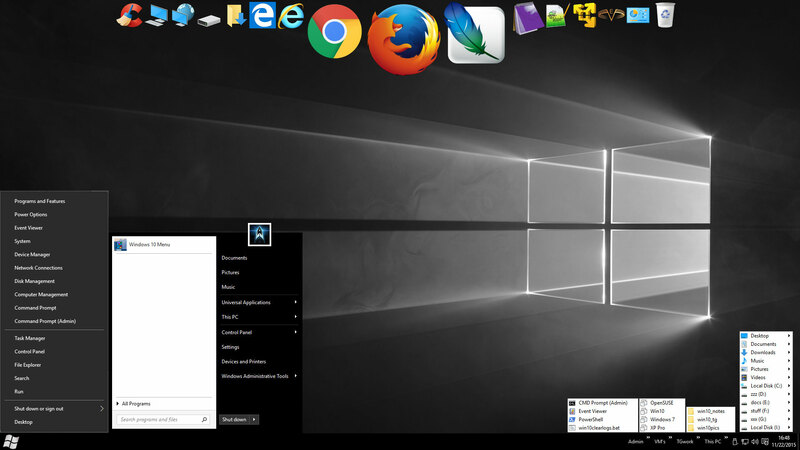 7 – Post install: Installed drivers, ran Windows update, tweaked, installed apps. Windows activated automagically. 8 – Shrunk drive to 60GB. 9 – Rebooted, put Windows 7 partition back on OS drive behind Win10 partition via Acronis True Image. 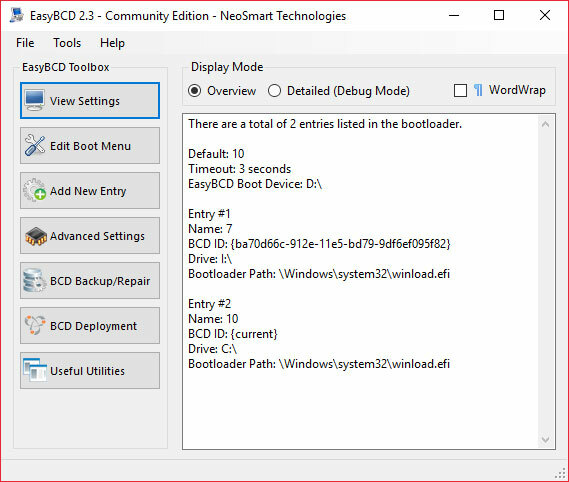 10 – Installed EasyBCD and added Windows 7 to boot order. IMHO it was a waste of time. My upgrade to Win10 from 8.1 was running OK. So is the clean install. Just a small question out of a pure curiosity – how did you move your taskbar icons to the top of the screen? I’m not sure if it’s a Win10 feature – I guess it’s an additional program to make it that way? This TH2 is having problem where BitLcoker is unable to use E-Drive facility in SED SSDs. It shows “the parameter is incorrcect” error while enabling it. People have tried every solution under the Sun, no resolve. I have one more question: during fresh install of Windows 10 (1 HDD, MBR) installer creates one system reserved partition (500 MB) and one normal partition with system files. There is no recovery partition but it seems everything is stored on system reserved partition in \Recovery folder. I found a few opinions about this behaviour of W10 and some point out it’s a bad thing for keeping everything clean and ready to recover. Could you dispel doubts or point some reliable resource and comment if it affects recovery methods you described in your guide? I’m sorry if this question is trivial – I wanted to start using Windows tools and I’m not sure what to expect (and suddenly having problems because of lack of dedicated recovery partition wouldn’t be nice). Also – I wasn’t able to find this topic on this site so I’m writing here as it seems to be the most fitting place for this question. PS: Okay, there will be one very small question. On your desktop screenshot you have both win+x menu and standard menu open. Is it a photo manipulation or a setting I keep missing?